Institute of Transportation Studies Library | A part of ITS Berkeley since 1948. It's going to be another warm week here in Berkeley, as the Summer unofficially begins. A new article, "The influence of weather on local geographical patterns of bus usage" by Sui Taoa, Jonathan Corcoranb, Mark Hickmana, and Robert Stimsonc, in the Journal of Transport Georgraphy that looks at how weather patterns affect bus ridership. This paper broadens the research on weather and public transport usage by considering the micro dynamics of the effect that various weather conditions impose on micro geographic patterns of bus ridership in Brisbane, Australia. A smart card data set and detailed measurements of weather, allied with a suite of statistical and visual analytic techniques, are employed to capture the effect of weather on the local variations of bus ridership. While changes in weather conditions do not significantly affect bus ridership at the system level, some marked influence was found for rainfall, wind speed and relative humidity at a sub-system level. In addition, discernible variations of both the magnitude and direction of weather's effect were found at the sub-system level. Developing a more geographically detailed understanding of the effect of weather on public transport services serves as a critical first step towards establishing a more weather-resilient public transport system. This new understanding has the potential to contribute to an evidence base that can be used to proactively adjust public transport services in response to changes in weather conditions across different parts of the network. Further research is needed to assess how transferable our findings are to other public transport and climatic contexts. We'll be closed Friday May 27 through Monday May 30th in observance of Memorial Day. We will resume our normal hours on Tuesday, May 31. 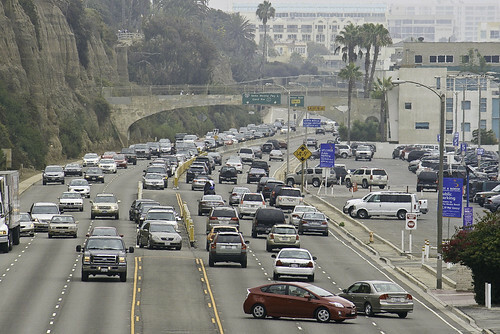 Memorial Day kicks off the United States' summer travel season, which means more traffic. Much has been written about the correlation of highway crashes and holiday weekends. There's been some recent work on how to forecast holiday travel with seasonal traffic models. Other researchers have explored how integrated multimodal travel information services might help alleviate holiday traffic patterns. Whatever your plans are this weekend, have a nice one! New issue of ACCESS out now! ACCESS Magazine issue 48 (Spring 2016) is out now! Articles in the issue cover a range of topics from airport capactiy to balancing transportation investment and fragile environments. You can read the whole issue online or wait a week, and we'll have hard copies in the library. ACCESS is sponsored by UCCONNECT. 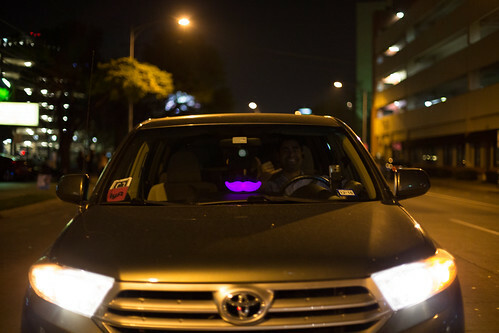 Uber and Lyft Leave Austin After Voters Reject Less Regulations on Ride-Hailing Apps. This weekend Austin voters went to the polls vote on Prop 1, which if passed would have eased the regulation on finger prints and background checks for rideshare drivers in the city. The proposition failed, only garnering 44% of the Yes vote. Uber and Lyft spent $8million campaigning for Prop 1, but that may have left a bad impression on voters. If Prop 1 failed, both Uber and Lyft said they would leave Austin in a kind prisoners dilemma. True to their word, on Monday both companies announced they were halting service in the city. What does this mean for ride-sharing? Will more cities push for more fingerprinting and background checks for ridesharing drivers in the name of public safety? Does fingerprinting actually make riders safer? 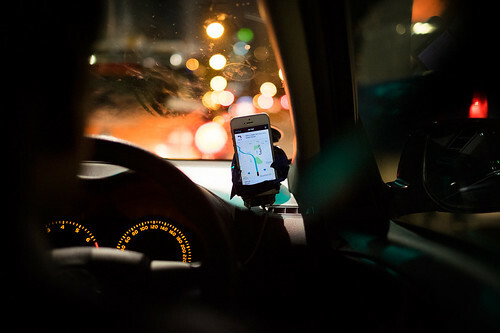 Research in this area suggests that rideshare companies don't need more safety regulation than taxis, but that they fit awkwardly into the existing regulatory framework. 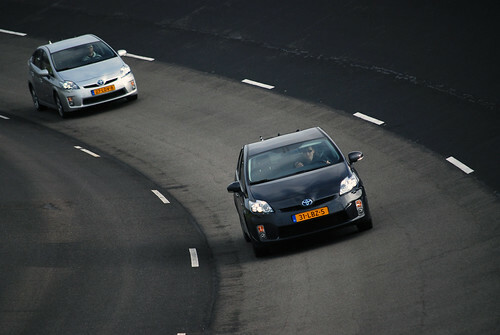 Though how different is ridesharing to taxis? And can the industry be regulated to benefit consumers and drivers? Time will tell. Bay Area Bike Share is expanding with new stations in San Francisco and San Jose, but also its first deployment in the East Bay with 34 stations. The Phase 1 expansion sites are clustered around the UC Berkeley campus and down Telegraph towards 12th Street BART. What impact will these new stations have on mode choice in the East Bay? 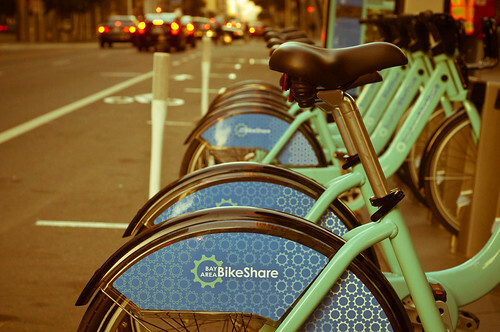 In the last 5 years bikeshare systems in the U.S. have greatly matured, and have come a long way from early implementations. The current literature is very robust. 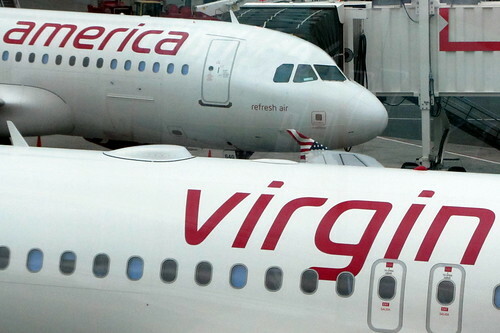 After some brief speculation, it was announced this morning that Alaskan Airlines' parent organization bought Virgin America for $2.6 billion in cash. This acquisition will bolster Alaskan's presence on the West Coast and particularly in California. Virgin's chairman Richard Branson wrote about the brand's history and his thoughts on the future. It's expected this deal won't experience regulatory hurdles that faced the American Airlines and US Airways deal because their market shares are much less. Given the geographic idiosyncrasies of airline mergers, it will be interesting to see how this deal plays out. What will be the implication for consumers? Initial impressions have been kind of negative. Today FHWA issued a press release announcing new safety performance measures, including for the first time new measures for bicycle and pedestrian safety. The final rules will be published on FHWA's Highway Safety Improvement Program website soon, but can be found here in the Federal Register. 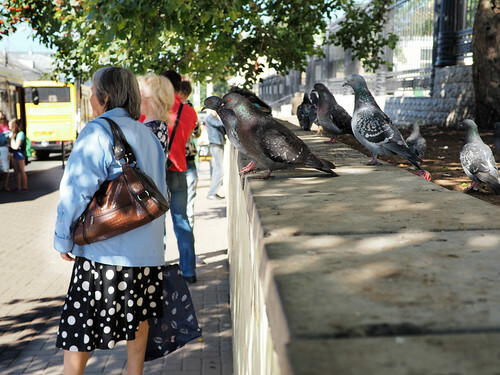 SafeTREC researchers have worked with Caltrans to develop data collection systems for California to make it possible to monitor system performance for bicycles and pedestrians. This data will be critical to implementation of these new performance measures. Last week TRB Special Report 319: TRB Special Report 319: Between Public and Private Mobility: Examining the Rise of Technology-Enabled Transportation Services was released. The report looks at how transportation network companies (TNCs), such as Uber or Lyft, have disrupted mobility. The report, its appendices, and a video presentation of the findings can be found here. It's a new school year, and new semester, and a new series of the ITS Transportation Seminars! Kicking things off this week is Jane Macfarlane, Head of Research for HERE. She give a talk on "Location: A Persistent Framework". Advances in the Internet of Things (IoT), Networking and Connected Car technologies are radically transforming how maps are created and used. Currently, devices are collecting and delivering location data at a scale greater than ever. Although cloud computing provides the computing scale and power required to process these data, new mapping and analytic frameworks are needed to extract useful and actionable knowledge effectively from the data produced by IoT and connected cars. This discussion will provide examples of location data and some of the analytics that HERE uses to transform this data into a higher level understanding of road network dynamics. We will also show how new types of ecosystems are being created by analytics around location data, IoT, and mobility services. Finally, we will discuss how location as a persistent framework will continue to support the very human part of mobility which is Context. The seminar takes place today, September 4th at 4:00 PM in 290 Hearst Memorial Mining Building with a reception to follow. Cookie Hour will be at 3:30 PM in the same location. A new whitepaper from the National Center for Sustainable Transportation and ITS Davis explores the relationship between greenhouse gas emissions and road construction and maintenance. The paper is The Role of Life Cycle Assessment In Reducing Greenhouse Gas Emissions from Road Construction and Maintenance by John Harvey, Alissa Kendall, and Arash Saboori. This	white paper summarizes the	state-of-knowledge	and	state-of-the-art in pavement LCA modeling, with particular emphasis on life cycle GHG emissions and on interpretation and analysis that lead to GHG reductions from the on-road transportation sector. This white paper synthesizes research from a number of previous and current projects, highlighting both broadly agreed upon methods and	findings,	and	those that are	emerging	or currently debated. The goal is to inform federal, state, and local policymakers; pavement industry professionals;	private pavement owners; and transportation and	other researchers about the significance and role of pavement	LCA	in understanding and mitigating the negative environmental consequences of the pavement sector. There has already been considerable research and implementation in this area in California. Some have developed better models to predict optimal maintenance strategies. 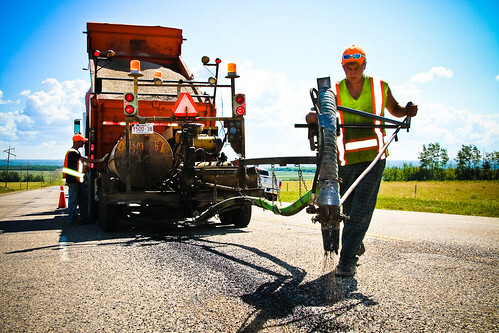 Others have examined the tradeoffs between costs and greenhouse gas emissions in road resurfacing, and reducing greenhouse gas emissions through management of pavement roughness. Some of these concepts have been incorporated into Caltrans' PaveM pavement management system.